This Blue blanket is made from a beautiful milk cotton-cotton blend (60% cotton 40% acrylic). The measurements are approx 65cm x 70cm. 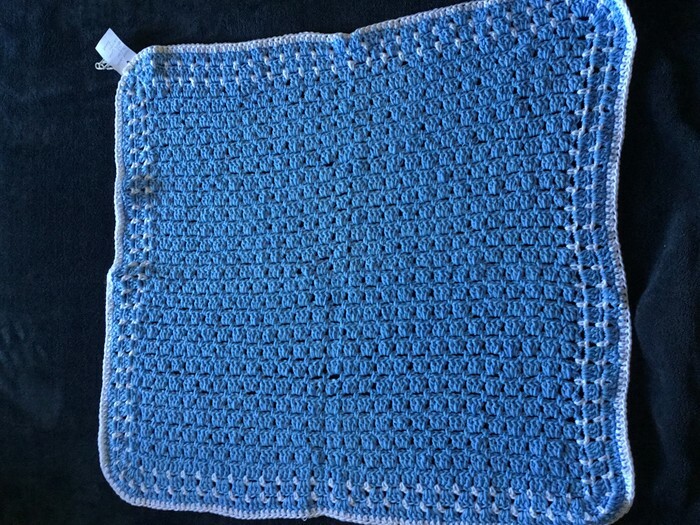 Custom orders are welcome, so if you would like this blanket in a different colour please message me or leave a note outlining your request at checkout. Please allow 3 to 4 weeks for completion of custom orders. If you live in the Newcastle or Lake Macquarie Area and would like to arrange local collection please use the code 'NewcastlePickup' at checkout to omit postage. If paying via bank deposit please use your name as the reference.